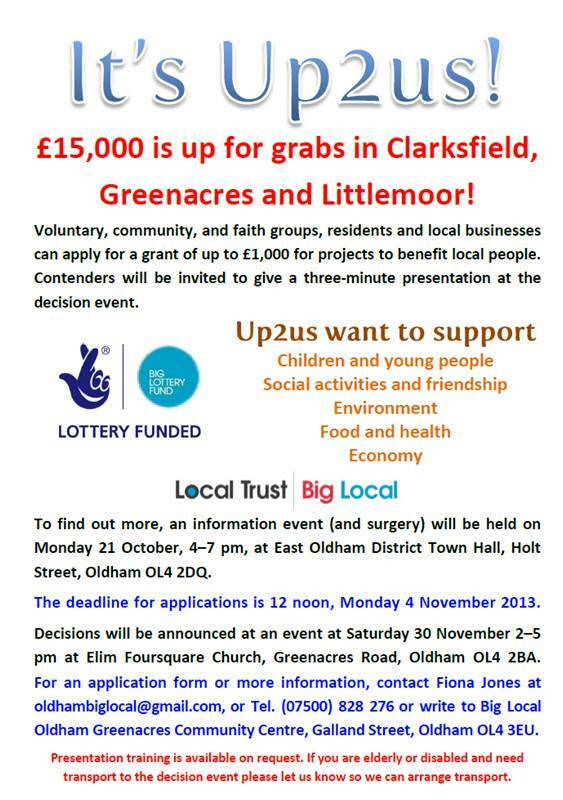 Around 250 residents of Oldham attended It’s Up2us on the 30th November 2013. Oldham Big Local is one of a number of newly emerging community led PB programmes. They recently made £15,000 available to local residents in three neighbourhoods to spend on projects to improve their local communities. They named their programme "It’s Up2us!" Following training and support from PB Partners, Oldham Big Local had a great response to their It’s Up2Us! project. The deadline for applications was the 4th November and around 15 organisations were successful in their bids. 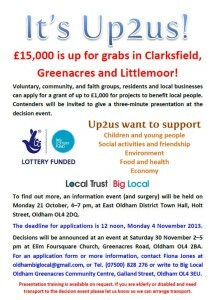 "Thank you all for applying to Big Local’s Up2us fund, and coming along to the decision event on Saturday 30th November at Elim Church. The standard of entries was extremely high, and everybody who was there was impressed with the range and quality of local projects in Clarksfield, Greenacres and Littlemoor. Thanks to everybody who gave up their time on the day to come along and help out, take part in a presentation or vote, and of course the unique Ali Kahn of Big Comedy Shop who compered the event. Around 250 people came to the event and everybody who was there was amazed at the turn-out." Recently PB partners produced guidance for community led PB for the Community Development Foundation for the Community First programme and this was used to support the delivery of It’s Up2us.